We are instrumental in the manufacturing, supplying, distributing and exporting of best quality Side Milling Cutters. Offered cutters are tested on several check points by the quality controllers before the final dispatch. 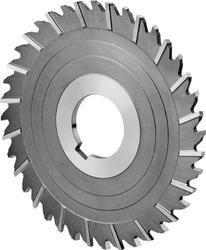 Used for heavy duty and deep slotting operations, offered cutters are known for their sharpness and durability. 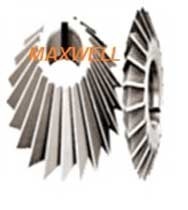 Maxwell manufactures special profile form milling cutters as per individual needs. We are among the leading manufacturers, suppliers and exporters of best quality Side & Face Milling Cutters. Our professionals manufacture these cutters in accordance with the industry set norms and parameters using cutting-edge technology. 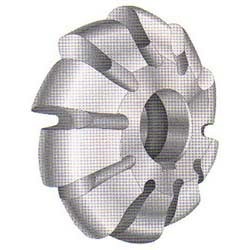 Highly demanded in the market, convex milling cutters are used to produce concave radius in engineering industries. 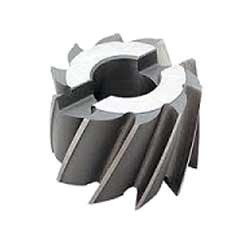 Convex Milling Cutters are used to produce a true concave radius. We are among the leading manufacturers, suppliers and exporters of best quality Face Milling Cutters. Our professionals manufacture these cutters in accordance with the industry set norms and parameters using cutting-edge technology. 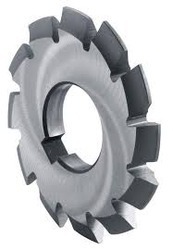 Highly demanded in the market, convex milling cutters are used to produce concave radius in engineering industries. 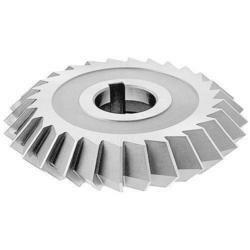 We are among the prestigious manufacturers, distributors, wholesalers and exporters of premium quality Half Radius Cutters. 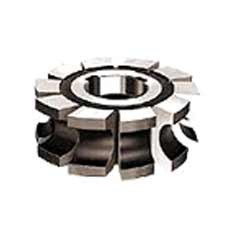 Available in nominal market prices, these cutters are manufactured in accordance with international parameters and norms. Offered cutters are appreciated around the globe for their accurate dimension, sturdiness and optimum performance. 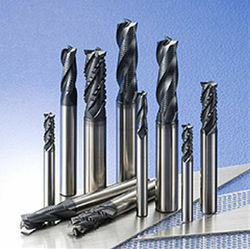 HSS endmills are those tools which have cutting teeth at one end, as well as on the sides. The words end mill is generally used to refer to flat bottomed cutters, but also include rounded cutters (referred to as ball nosed) and radiused cutters They are usually made from high speed steel (HSS) and have one or more flutes as per requirement. 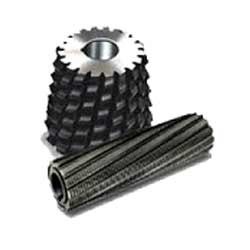 Endmills are used in milling applications such as profile milling, tracer milling, face milling, and plunging. They are the most common tool used in a vertical mill. Offering a wide range of Unequal angle cutters to our valuable client in different specification to meet the diverse requirement of client. These are made from high quality raw material. They are available in various sizes owing to our sophisticated manufacturing facility and diligent group of professionals. Our professionals manufacture these Involute Gear Cutters in accordance with the industry set norms and parameters using cutting-edge technology.Highly demanded in the market, convex milling cutters are used to produce concave radius in engineering industries. 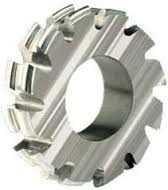 We are engaged in providing a wide range of Hacksaw Milling Cutters. These are provided in different specification to meet the diverse requirement of client. They are available in various sizes and shapes. These are made from high quality raw material. 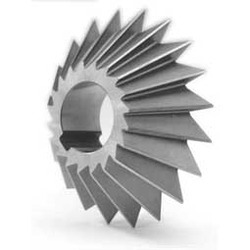 The offered products have an exceptional resistance to corrosion and high temperatures. Robust structure, anti corrosive nature and high efficiency are some of the salient features of our hacksaw blade. 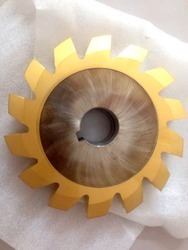 Our client can avail from us a wide range of Shell End Milling Cutters. These are provided in different specification to meet the diverse requirement of client. We are known for making customer oriented products owing to our sophisticated manufacturing facility and a diligent group of professionals. Shell End mills are either right hand with a right hand helix or left hand with a left hand helix angle. Offered with cutting edges on the one end. These have 18" helical flutes and 12" positive radial rake. 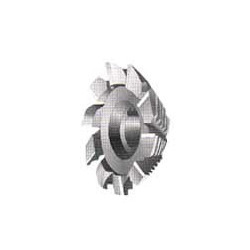 Shell end mills are used for vertical milling machines stub arbors. We are among the prestigious manufacturers, distributors, wholesalers and exporters of premium quality Sprocket Milling Cutters. Available in nominal market prices, these cutters are manufactured in accordance with international parameters and norms. Offered cutters are appreciated around the globe for their accurate dimension, sturdiness and optimum performance.
. Available in nominal market prices, these cutters are manufactured in accordance with international parameters and norms. Offered cutters are appreciated around the globe for their accurate dimension, sturdiness and optimum performance. We are among the leading manufacturers, suppliers and exporters of best quality Convex Milling Cutters. Our professionals manufacture these cutters in accordance with the industry set norms and parameters using cutting-edge technology. 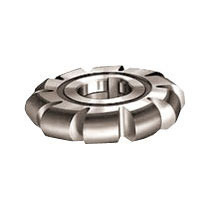 Highly demanded in the market, convex milling cutters are used to produce concave radius in engineering industries. Plain Milling Cutter, also called Surface Milling or Slab Milling, is milling flat surfaces with the milling cutter axis parallel to the surface being milled. Generally, plain milling is done with the workpiece surface mounted parallel to the surface of the milling machine table and the milling cutter mounted on a standard milling machine arbor. The arbor is well supported in a horizontal plane between the milling machine spindle and one or more arbor supports. Profile Milling Cutters find use in transferring specific profile onto work-piece where this cutter in required profile assists in cutting material from work piece as well as transferring profile onto it using multiple step action. Further, depending on wear & tooth width these cutters can also be reground several times. 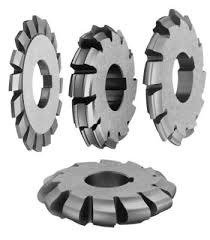 Cylindrical Milling Cutters are profile sharpened cutters that feature presence of teeth on peripheral surface and assist in producing comparatively flat surfaces parallel to rotation axis, thus offering ideal suitability for applications involving high rate of stock removal. Convex Milling Cutters are extensively used to mill the surface of the components and producing the profile on components. These are provided with teeth on the peripheral surface or with the side teeth or a combination of both. Our convex cutters are available in the size ranging from 10 mm to 300 mm diameter and are used in various sectors for different purposes. Our company holds the specialization in the manufacturing, supplying and exporting of superior quality Shell End Mill Cutters. 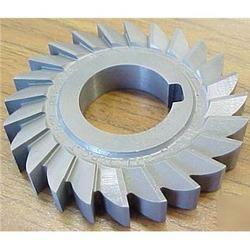 Sourced from trustworthy vendors, good quality metal is used in the manufacturing of these cutters. The cutters we offer are appreciated for their seamless finish, smooth installation and corrosion resistance. 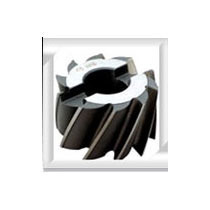 Concave Milling Cutters are designed to achieve precision cutting of any intricate shapes and provide vital support to the users for maintaining correct cutting angle as well as in applying of constant cutting pressures. These are also made available in form-relieved options for handling the milling options for concave half circles in all material types. Available in size options of 2mm, 3mm, 4mm, 6mm, 7mm and others or from 1/8" to 1-1/2"
End Milling Cutters are those tools which have cutting teeth at one end, as well as on the sides. 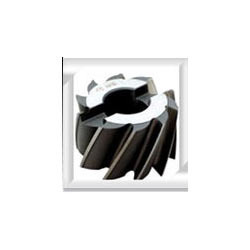 The words end mill is generally used to refer to flat bottomed cutters, but also include rounded cutters (referred to as ball nosed) and radiused cutters They are usually made from high speed steel (HSS) and have one or more flutes as per requirement. Offering a wide range of Angle Milling Cutters to our valuable client in different specification to meet the diverse requirement of client. These are made from high quality raw material. They are available in various sizes owing to our sophisticated manufacturing facility and diligent group of professionals. We deal in a comprehensive range of Convex Cutter that is designed to produce a concave surface equal to a half surface. Convex Cutters are made with the help of straight flutes. We offer highly reliable and authentic Convex Cutters that are available at a very affordable price. We are among the leading manufacturers, suppliers and exporters of best quality Round Milling Cutters. Our professionals manufacture these cutters in accordance with the industry set norms and parameters using cutting-edge technology. 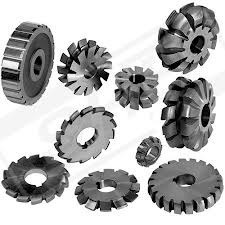 Highly demanded in the market, convex milling cutters are used to produce concave radius in engineering industries. 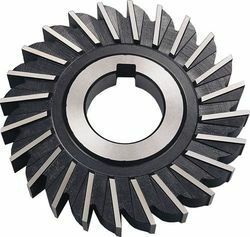 Spline Milling Cutters, also called Surface Milling or Slab Milling, is milling flat surfaces with the milling cutter axis parallel to the surface being milled. Generally, plain milling is done with the workpiece surface mounted parallel to the surface of the milling machine table and the milling cutter mounted on a standard milling machine arbor. The arbor is well supported in a horizontal plane between the milling machine spindle and one or more arbor supports. Form Relieved Milling Cutters, also called Surface Milling or Slab Milling, is milling flat surfaces with the milling cutter axis parallel to the surface being milled. Generally, plain milling is done with the workpiece surface mounted parallel to the surface of the milling machine table and the milling cutter mounted on a standard milling machine arbor. The arbor is well supported in a horizontal plane between the milling machine spindle and one or more arbor supports. Offering a wide range of Equal Angle Cutters to our valuable client in different specification to meet the diverse requirement of client. These are made from high quality raw material. They are available in various sizes owing to our sophisticated manufacturing facility and diligent group of professionals. Gear Cutters we are engaged in offering utmost quality Involute Gear Cutters at affordable market prices. 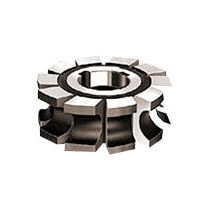 Known for their corrosion and abrasion resistance, these cutters are extensively demanded in heavy metal industries. # 8 cutters are made for each pitch. 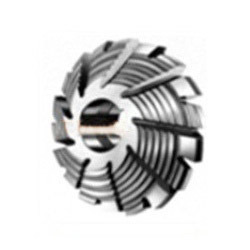 Single Angle CuttersOwing to our rich industry experience and the sincere effort of our team, we have been able to manufacture, supply and export utmost quality Double Angle Milling Cutters. 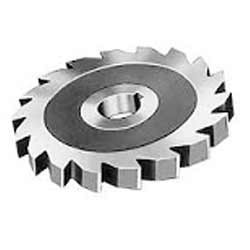 Dimensionally accurate, these cutters are acknowledged for their corrosion resistance and high durability. We are blessed with a team of enthusiastic and professional entrepreneurs that helps us to deliver top quality Shell End Mill Cutters that are cost effective and reliable. 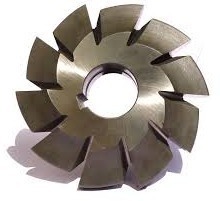 Helical Shell End Mill Cutters have cutting edges on the periphery and one end. 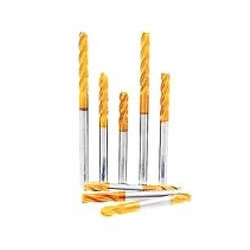 Shell End Mill Cutters have 18" helical flutes and 12" positive radial rake. The hole is designed for standard milling machines stub arbors. Shell End Mill Cutters are either right hand with a right hand helix or left hand with a left hand helix. 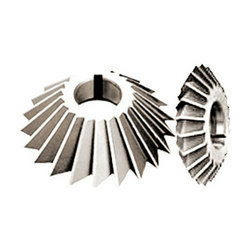 Today we have blossomed into one of the admired steel Shell End Mill Cutters Manufacturers and Exporters in India. 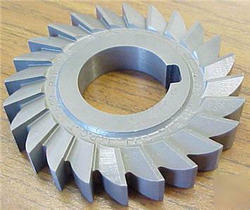 Concave Cutter is designed to produce a convex surface equal to a half circle. Concave Cutters are ungrounded from relieved cutters. The Concave Cutter, that we prepare and develop, is durable and pocket friendly. The technical richness that we carry acts as a catalyst to increase productivity and quality of products. Today, we are one of the populous Metal Concave Cutters Manufacturers and Exporters from India. We have experimented and researched the business nuances with extreme care and this is now delivering results in the form of unique and innovative products. We deal in a comprehensive range of Convex Cutter that is designed to produce a concave surface equal to a half surface. Convex Cutters are made with the help of straight flutes. We offer highly reliable and authentic Convex Cutters that are available at a very affordable price. The use of quality researched raw materials and presence of thoroughbred professionals help us to deliver Convex Cutters that are trademark of hard work and dedication. 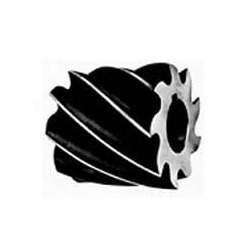 We are also most trusted high speed Convex Cutters Manufacturers and Exporters from India. 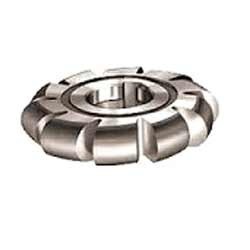 We are ranked among reputed Manufacturers and Exporters of a wide range of DP Gear Cutters. We manufacture them as per industry norms and ensure only industrial grade raw materials are used. 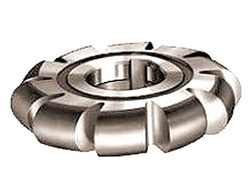 Thus, our entire range of DP Gear Cutters is robust, corrosion resistant and excellently finished. Interested buyers can purchase DP Gear Cutters from us in bulk that too at market leading prices. We price them reasonably. Our company is instrumental in the manufacturing, supplying, distributing, wholesaling, service provider and exporting of Double Angle Cutter.